The recently constructed, executive style villa has 4 bedrooms, 3 bathrooms and can sleep up to 10 plus cot. It is fully air conditioned and most rooms have ceiling fans. Do not rent a property of Janice Westoe. 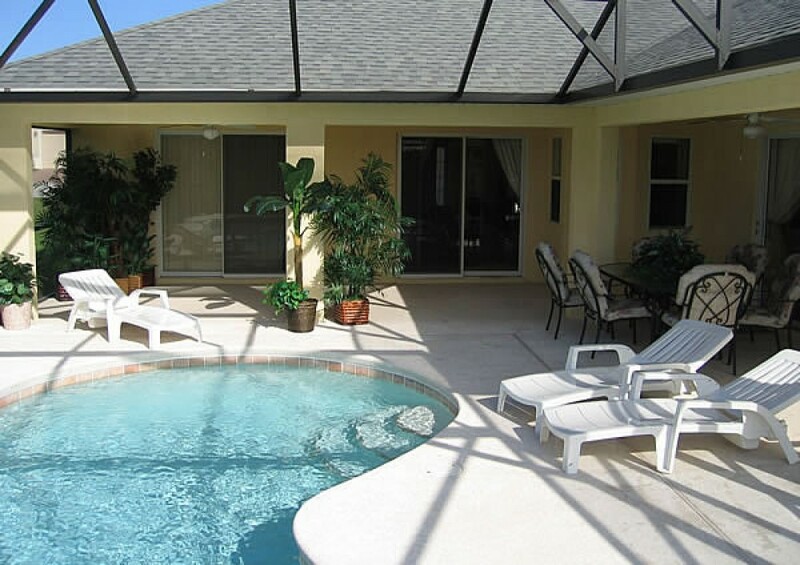 - On the 28th July 2014 we made a reservation for her Tuscan Ridge Villa (25th Dec.-01 Jan. 2015) (we have rented this property before) It would be a special Christmas Holiday because my father-in-law has cancer and would like to go to the USA to gain some strength in the Florida weather. Janice confirmed the reservation by e-mail on the same day. 28th July 08:51: Hi Janice, we would like to confirm our reservation for the known dates (Arrival December 25th - Departure January 1st) (on the end of the mail our Adress and phonenr.) 28th July 21:58: HI, That is wonderful, Jan. Please remind me of your address and telephone number. (But our address and phonenr was already in the confirmation mail) - Just to be sure we e-mailed Janice again on the 26th. Oct. and 31. Oct. (on the two e-mail addresses she provided) to extra-confirm our already confirmed reservation. Janice did not give any reaction. - On the 8th / 11th / 13th /18th / 20th November we called Janice. Her very unfriendly response was always "Send me an e-mail" but she clearly does not response to e-mails. We even send a SMS text message to her mobile phone on the 8th november, no response. - On the 20th November, she responed for the first time, on an e-mail from my girlfriend. She rented out this property again! So, she just canceled our reservation! " HI, i am sorry to advise the villa is not available for your proposed visit, Jan" Now we have to look for another property with my father-in-law, and that won't be easy so close to Christmas. We really want to warn you, do NOT rent any property of her. She is not to be trusted.